There are plenty of options out there when it comes to buying Bitcoin. However, the options become fewer and fewer when it comes to buying Bitcoin in your home country’s fiat currency. When most people think of purchasing Bitcoin using fiat currency, they think about one of the largest exchanges – Coinbase. Coinbase is a US-based exchange that offers many advantages for its users. It’s the world’s most popular exchange to purchase and sell Bitcoin, Litecoin and Ethereum, and they also support the instant purchase of these currencies via MasterCard/Visa credit and debit cards. Coinbase currently only serve 32 countries. Check here to see whether their service is available in your country. Buying Bitcoin is famous for its open, borderless, and decentralized nature, so it seems absurd that buying Bitcoin would be restricted because of where you are trying to buy it. Coinbase has said they’re trying to expand their operations to 168 countries. However, I doubt that very much because Coinbase became the first exchange to be valued over $1 billion, and they recently raised $100 million. Coinbase was already heavily funded even before this funding, so they would’ve started by now if they wanted to expand support for 168 countries. Moreover, I think Coinbase started to act like traditional banks because of their limited accessibility, high fees, and their stance on Bitcoin Cash and other Bitcoin forks. Coinbase also opened up other problems when it comes to serving customers and they started to integrate its business with traditional banking laws and act on the base of the classic financial system. Also, Coinbase first got approved by US Government, which included monitoring of users account and forced shutdowns of many accounts. Many users who used Bitcoin for paying adult services, gaming, gambling, and resale of coins got their accounts frozen. One more thing worth noting is that many personal information is required for opening the account. Considering all of the above, there are several Coinbase alternatives currently available that will help you get your hands on some Bitcoin. Kraken was founded in 2011 and is one of the largest Bitcoin exchanges out there. It is based in the San Francisco, USA, but even though they are based in the US, they are one of the largest Euro to crypto markets in the world. Apart from Bitcoin, they also provide trading of Gnosis (GNO), EOS (EOS), Dogecoin (XDG), Tether (USDT), Melon (MLN), Zcash (ZEC), Augur REP tokens (REP), ICONOMI (ICN), Stellar/Lumens (XLM), Ethereum Classic (ETC), Litecoin (LTC), Ripple (XRP), Monero (XMR), Dash (DASH), and Ethereum (ETH). These many different cryptocurrencies can be bought/sold via 5 fiat currencies – USD, CAD, EUR, JPY, and GBP – by wire transfer or SEPA. It’s important to note that they don’t support purchasing through credit/debit cards (at the time of writing this article). You can create a master key for account recovery. Email supports PGP/GPG signing and encryption. Check here to see the fee schedule of Kraken. Kraken accounts take some time to get verified, because there are three tiers, and getting through them all can require some patience. Be sure to take the proper steps to make sure everything goes smoothly. 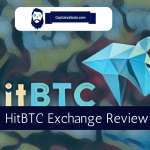 CEX is a London, UK-based exchange that supports the buying and selling of BTC and ETH. CEX has been operating since 2013 and has earned quite a bit of respect in the cryptocurrency space and is operational in 99% countries of the world. The great thing about this platform is that they keep on adding more countries to their list. Purchase Bitcoin using debit or credit card. Purchase Ethereum using debit or credit card. 2-factor account authentication (great security feature). Supports wire transfers of USD, GBP, RUB, and EUR. CEX also supports the instant purchase of ETH/BTC via MasterCard/Visa debit and credit cards. And you should know that you need to verify your identification while dealing with fiat currencies. Here you will be required to do an identity verification and card verification. CEX has 2FA authentication as well as SMS/call service available for extra security, so their users need not worry about the security of their funds. Also, the fee structure on the platform is really simple to understand. LocalBitcoins is a Bitcoin startup and P2P Bitcoin exchange that operates in more than 200 countries of the world. The platform is based out of Helsinki, Finland and has been operating since 2012. LocalBitcoins offers instant transactions, and the platform is considered to be E-Bay for Bitcoin. LocalBitcoins is one of the best options out there for those who don’t believe in centralized exchanges and want to go peer to peer. 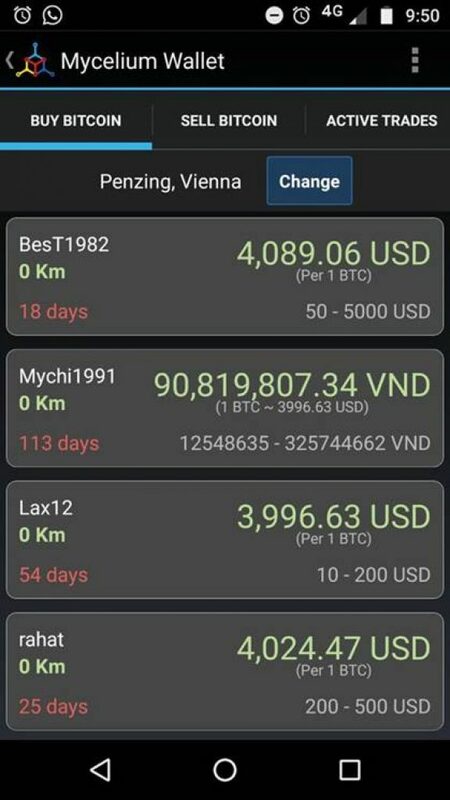 It has on the ground Bitcoin buyers and sellers in more than 15,000 cities around the world (it is not available in Germany or the state of New York). Here you can meet buyers and sellers online and execute a trade offline, you can pay in cash or send them money via direct bank deposit or PayPal or SEPA or wire transfer or whatever (all depending on what the seller wants). LocalBitcoins only requires you to register using your email ID. However, you can also verify your identity, which will raise trust between traders. Transferring funds is typically free and fast because you’re typically dealing with locals. Also, the site lets you see what bank a given user is with. 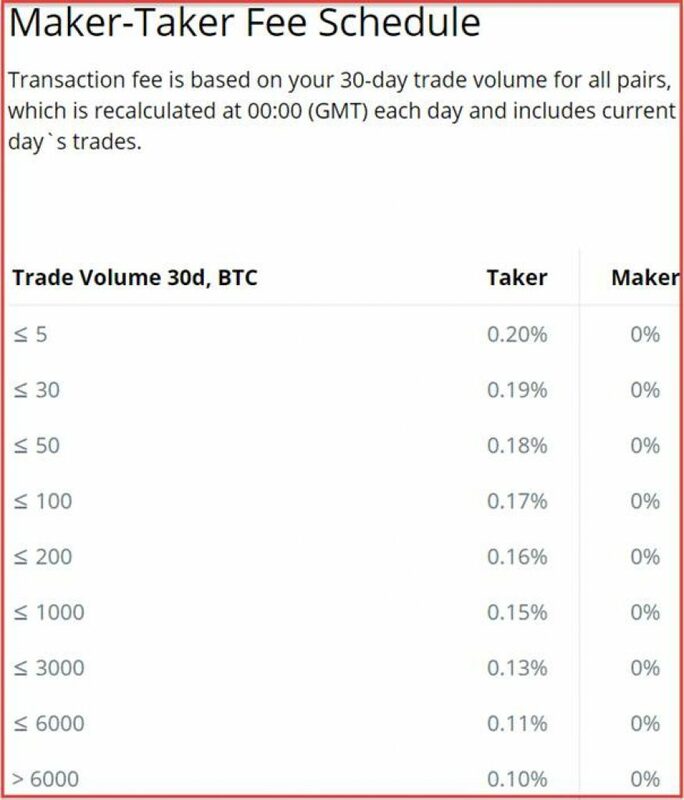 All the fees on LBC are set by the buyers/sellers. LBC acts as an escrow manager. Once the payment has completed, there is no delay in receiving your Bitcoins. The entire process can take place very quickly because you’re dealing with locals with local bank accounts. Caution: It’s highly recommended to check the reputation of the seller. A higher reputation means they’re more trustworthy. Gemini is based in New York and is one of the fastest growing Bitcoin exchanges in the world. They are fully compliant with the New York State Department of Financial Services (NYSDFS). Check this list to see whether your country or state is listed. This platform supports buying/selling of ETH and BTC against USD which can be wire-transferred from the supported states and countries. It’s important to note that Gemini doesn’t charge a fee for wire transfer deposits. However, respective currency conversion charges will still apply. Check here to see their trade fee schedule. Also, you can see below for the withdrawal/deposit fee schedule. For more serious/larger trading they also offer institutional accounts apart from individual accounts. 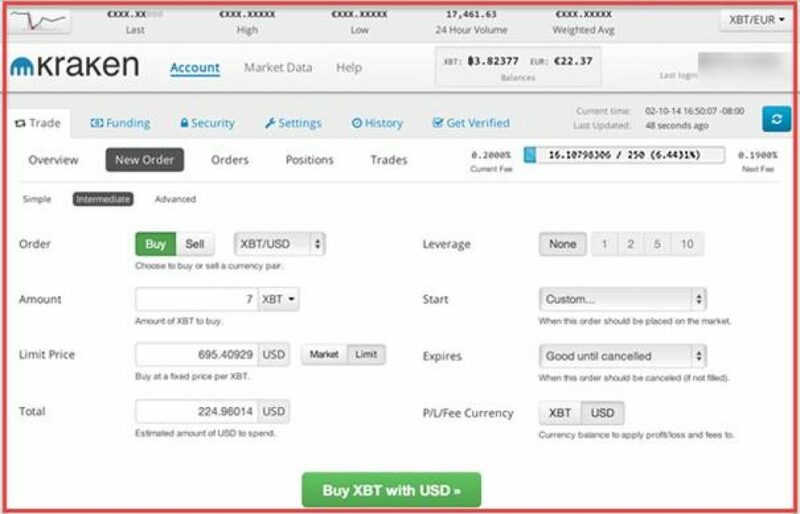 That said, you will have no trouble figuring out how to use this marketplace if you are a beginner trader. Mycelium Local Trader is a LocalBitcoins-like facility that uses your phone’s GPS location to get you connected to traders nearby, making a listing of sellers who are on the app. It is built into the Mycelium mobile app. There is no requirement of IDs or verifications to use Mycelium, and the buyer and seller meet in person to exchange cash/bitcoins. All the fees on it are set by the buyers/sellers. Mycelium Local Trader simply acts as an escrow manager. Check this official step by step guide to help you out in buying and selling Bitcoins from this platform. Caution: It’s highly recommended that the seller confirms the receiving of cash in front of you on the Mycelium app. After that, the trade will be executed automatically. Bitcoin ATMs are another alternative to Coinbase and centralized exchanges. The trend of BTC ATMs is not yet that prevalent. 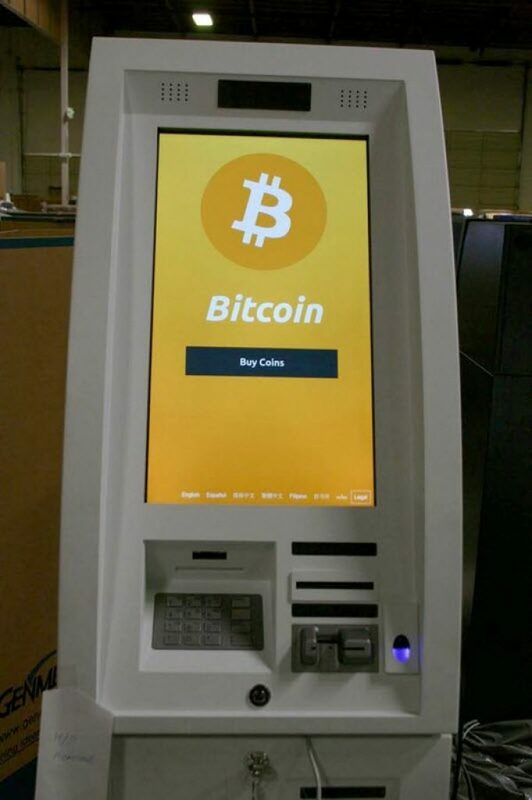 However, if you live in a country where you have Bitcoin ATMs, then this is a great way to get some Bitcoins. All you need is fiat money such as USD, GBP, or EUR. A Bitcoin ATM asks you to scan your public address. Once you do that, the ATM will transfer BTC to that address in the amount of fiat that you deposited into the ATM. Also, if you don’t have a public address, you can choose a Bitcoin wallet from our list, and generate a Bitcoin public address that way. In some cases (if ATM supports that feature), if you don’t have a public address, just select the option of “don’t have an address” and the Bitcoin ATM will generate a paper wallet for you. Coinbase is most common and one of the first exchanges, and is frequently used by most of the newcomers to Bitcoin network. For everyone with more experience in the network, it is clear that there are many alternatives worth considering. 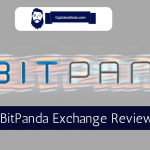 They offer many advantages over the Coinbase and some other exchanges that operate globally. I should mention that I am not against Coinbase, but I don’t see any harm in exploring other alternatives for those users across the globe that can’t get access to Coinbase. That said, there are plenty of options out there to buy and sell Bitcoin, and now all you need to do is go and do it!